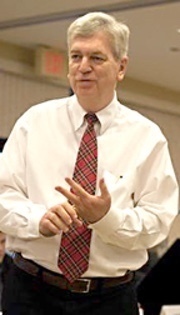 This newsletter was sent to all of the subscribers on Jim’s list (2,941) on Friday, January 11, 2019. The first full week of the New Year has been notable around here (East Tennessee) for what it wasn’t: It WAS NOT “a dark and stormy night.” For the first time since just about anyone can remember, we have not had rain this week. That’s a real contrast from this fall when we have had an overabundance of rain. It’s been a good thing to see the sun shine for a few days. And speaking of “a dark and stormy night,” those are the famous words of Edward Bulwar-Lytton, a 19th century British author who used that phrase to begin one of his novels and thus went down in literary infamy. We’ll get to him in a subsequent newsletter, possibly when the nights get dark and stormy again. Within this week’s newsletter are a special announcement and two Amazon giveaways. Read on. Meanwhile, I hope that your new year has started well and that you have a great weekend. Under the newsletter’s hood: Last week’s newsletter was sent to 2,940 subscribers and had a 29.3 percent open rate; 8 people unsubscribed. For those of us coming of age in the 1960s and 1970s and seeking a voice to articulate the absurdities we were seeing and experiencing, Kurt Vonnegut was a God-send. Vonnegut (1922-2007), a World War II veteran and a survivor of the Dresden fire-bombing as a prisoner of war, wrote in a light, delicate prose that satirized the pompous pronouncements that were being bandied about to explain — or obscure — the lack of logic that we were tempted to accept. In his 14 novels, including Slaughterhouse-5 and Cat’s Cradle, and numerous plays and short stories, he cut through the fog and allowed us to see more clearly. 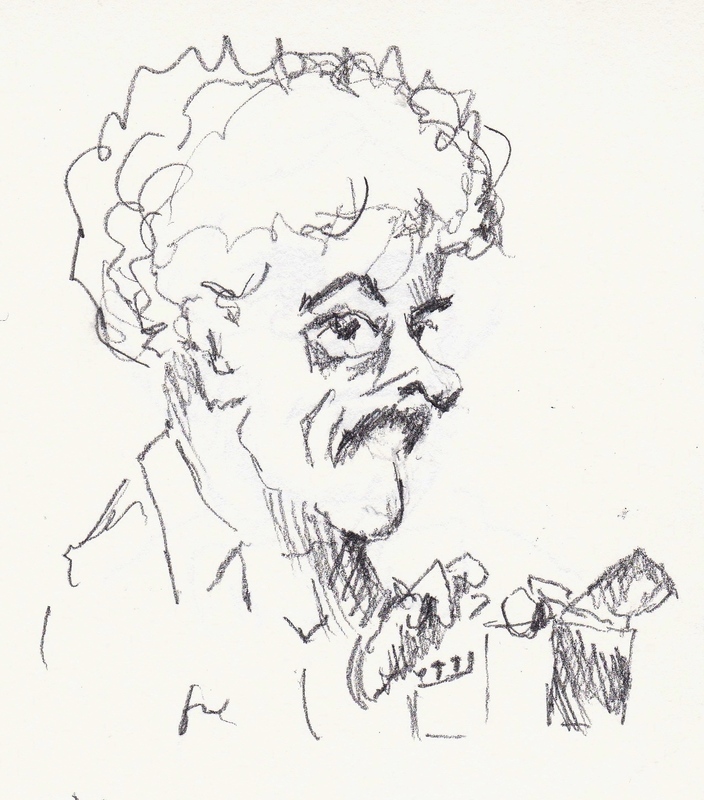 Vonnegut is still worth reading, and if you haven’t had a taste of him, you should. 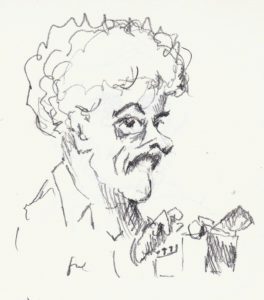 Just as Elmore Leonard had his rules for writing in general, Vonnegut had his rules of writing, but these applied to fiction more than non-fiction. They are listed below. I was reminded of these rules after reading a disappointing novel that violated rule number 4: Every sentence must do one of two things—reveal character or advance the action. The novel had a good storyline, but early on it was weighted down by too much explanation and not enough plot advancement. The author is well-respected and well-reviewed, but in this instance he didn’t have enough faith in his plot or his audience to weave the explanations into the action. 6. Be a sadist. No matter how sweet and innocent your leading characters, make awful things happen to them – in order that the reader may see what they are made of. One of the luckiest men of the 20th century in terms of having a continuing and positive public image is Erwin Rommel. Rommel was “Adolph Hilter’s favorite general.” He was the Desert Fox, a moniker applied to him by British journalists. He was a chivalrous soldier who fought a “clean” war and refused Hitler’s orders to execute prisoners of war. He was part of a conspiracy to assassinate Hitler, although how much of a part he played in it has been debated since the end of the war. The Nazi propaganda machined loved Rommel and built him into a hero because of his successes in North Africa. Rommel returned that love, repeatedly posing for the cameras as he directed tank divisions or studied strategic maps. The Germans needed a soldier-hero and Rommel fit the bill. The Allies, too, loved Rommel for much the same reason. Rommel was touted by the British as a brilliant commander, which made the British victories against him so much more thrilling. 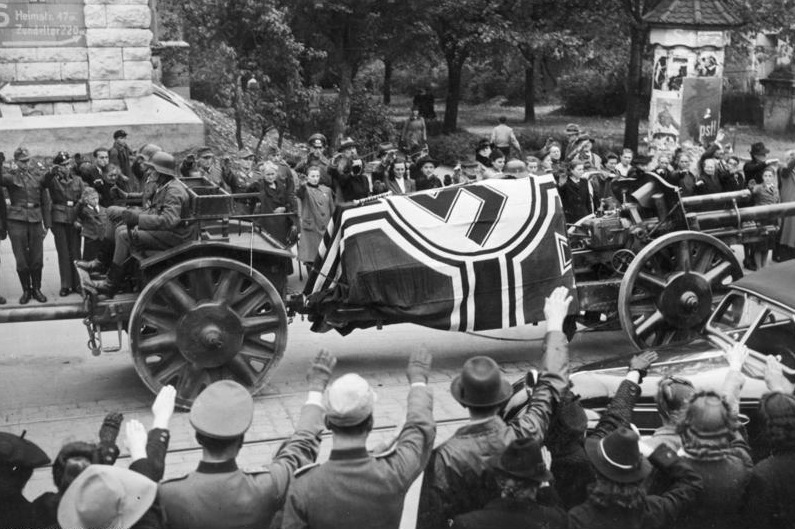 When Rommel died in 1944 — a forced suicide because he was implicated in the assassination conspiracy — the Nazis gave him a hero’s funeral and burial. 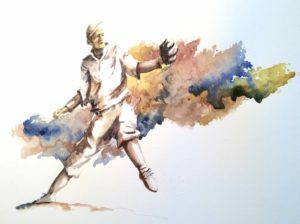 After the war, Rommel’s family reinforced this heroic image by authorizing an adoring biography, The Desert Fox by British author Desmond Young. That biography became the basis for the mega-hit movie, The Desert Fox, starring James Mason, that appeared in 1951 to great reviews and is still considered a classic rendition of his life. Thus, the myth of Rommel, the good German, was cemented. Not only is his military prowess in question, but his role in the conspiracy to kill Hitler has been questioned. 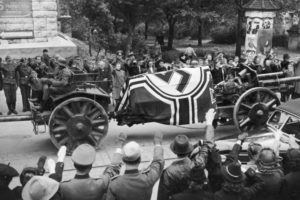 Rommel’s attitude toward Hitler, who had elevated him far more quickly that he would have been promoted through regular channels, was decidedly mixed. Rommel’s image is no longer as heroic as it was in the first generation after the war, but it is still largely positive thanks not only to his achievement but also to the deliberate plans of those who want him as a hero. Becky Sharp is at it again — this time in an original, multi-episode, lavish production of Vanity Fair that you can watch on Amazon Prime if you are a member. 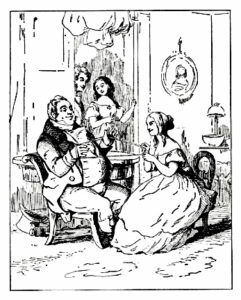 Becky and the screen are made for each other, even though William Makepeace Thackeray made Becky about a half-century before motion pictures came about. She is one of those characters that audiences can’t seem to get enough of — an underdog who is bright, resourceful, and ready to make of the world what she can, but only on her terms. Appearing at 10-or 20-year intervals, TV adaptations of Vanity Fair tend to come towards the ends of decades and inevitably find parallels with their own times. In a 1967 BBC production, Susan Hampshire’s Becky was a proto-60s chick, resembling the liberated protagonists of contemporary films. Twenty years on, at the height of the Thatcher era, Eve Matheson’s spunky redhead “who will stop at nothing” (as the publicity proclaimed) could hardly fail to embody the spirit of the age. Always, however, Becky Sharp is great fun to watch, and good actresses have relished the role. So, in enjoying Becky Sharp yet again, we should also pay some attention to the complex and multi-talented man who mad her. William Makepeace Thackery (1811-1863) didn’t set out to be a writer. In fact, he didn’t set out to be much of anything at all. 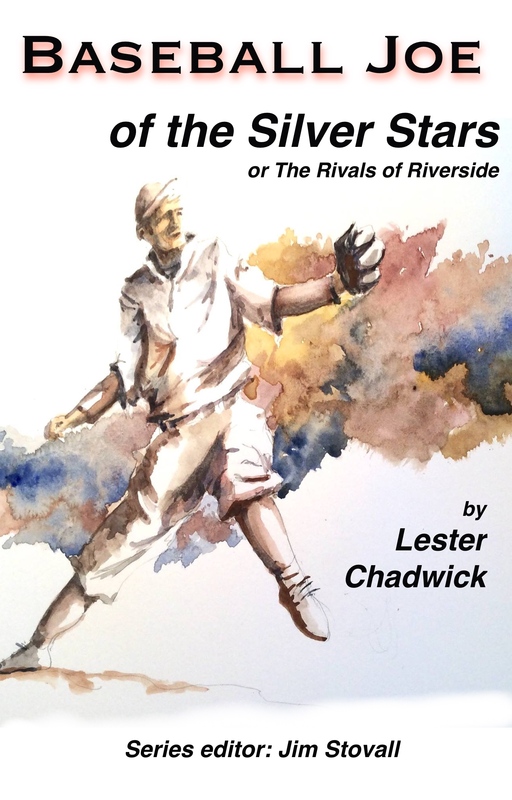 He inherited a tidy sum from his father when he was 21 but lost a good bit of it on gambling on other vices. He tried his hand at being a bohemian artist and at practicing law, but he didn’t seem suited for either life. What he was suited for was being a writer, and that came by fits and starts — mostly with hackwork to earn money. 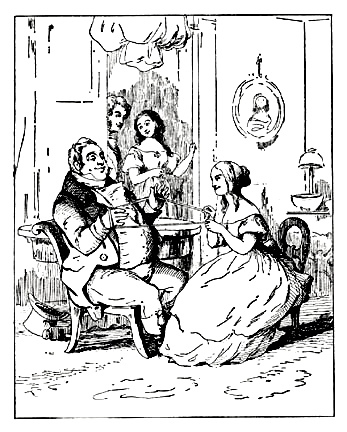 He contributed both articles and caricatures to the satirical magazine Punch, and there in the 1830s and 40s he began to find a voice, a style, and an audience. Thackeray became one of the best caricaturists of his day. 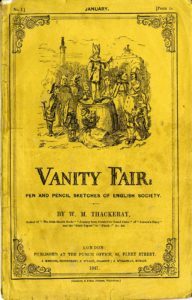 The appearance of Vanity Fair, first serialized in January 1847, put him at the “top of the tree,” in his words, in the London literary world. Thackeray made two profitable lecture tours of America in the 1850s and continued to produce books, often illustrated by the author. Thackeray’s personal life was not so successful. His wife, Isabella, suffered from depression, and this worsened over the years, despite many efforts to find a cure. His youthful dissipations caught up with him, and he fell victim to a variety of ills in the last decade of his life. He died of a stroke in 1863. But his work, and particularly his heroine Becky Sharp, continue to live and be revived. If you have a chance to watch the latest version on Amazon Prime, you should give it a try. 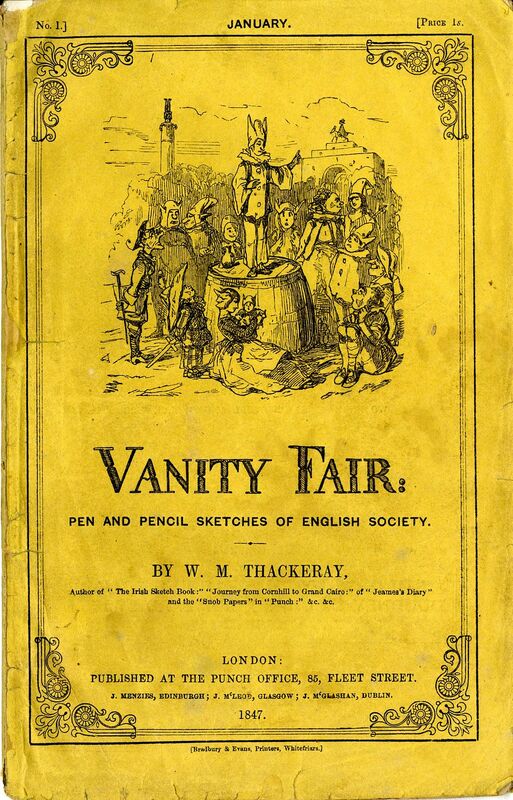 Illustration 1: The cover of the first edition of Vanity Fair. It was indeed yellow, which became a Thackeray hallmark, and the author did the illustrations for the book, including the one on the cover. The issue of race is the one that continues to divide America more than any other. The issue goes back to before we were a republic and is all-too-present with us today. Confronting it has never been easy. That’s why listening to reasonable voices is important. One of the most reasonable and intelligent voices to come out of the South — Alabama, even — in recent years is Bryan Stevenson, a lawyer who has helped create the The Legacy Museum and the National Memorial for Peace and Justice, a new museum and memorial in Montgomery, Alabama, created by the Equal Justice Initiative that aim to bring America’s history of segregation and racial terror to the forefront. On the Media devoted its entire show to this issue earlier this year, and the folks there rebroadcast it last Sunday. Listen to it — all or part of it. It’s challenging and thought-provoking. Amazon giveaway: I have organized an Amazon giveaway for Baseball Joe on the School Nine that is going on right now. I’m giving away five copies. If you are interested in getting a free copy ($2.99 value), head over to this link on Amazon and enter the contest. Good luck! 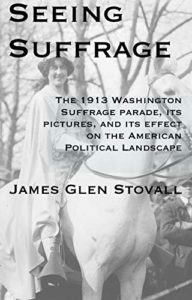 Amazon giveaway: I have organized an Amazon giveaway for Seeing Suffrage that is going on right now. I’m giving away five copies. If you are interested in getting a free copy ($4.99 value), head over to this link on Amazon and enter the contest. Good luck!